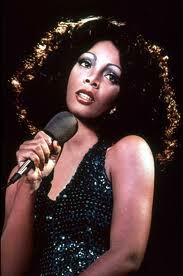 Learning of Donna Summer’s death makes me think of my childhood because her songs were played regularly in my home. I remember being a little girl, sitting in the living room on the floor next to the stereo studying the picture of above album cover. Something about it intrigued me. I walked around the house singing “Toot toot hey beep beep,” though I had no clue that I was singing about prostitution. And that was how it was supposed to be, songs in that era were different. The true meaning of the song was craftily hidden in the lyrics. But that was a long time ago and I’m sure I sound like my parents when I say, that was real music. 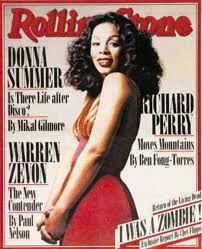 Donna Summer is gone but her legacy lives on through her music. True hits transcend time and generations. 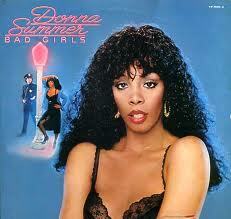 Her hit songs like Last Dance and Bad Girls are timeless; they did not die in the 70’s and 80’s but live on. No matter how often I hear them, they always put a smile on my face. We will miss you Donna! You were a trailblazer, a trendsetter and an inspiration. You did not play it safe but took risks and pulled it off in Grand Diva Style. I am proud to have experienced your music first hand. Sleep well.